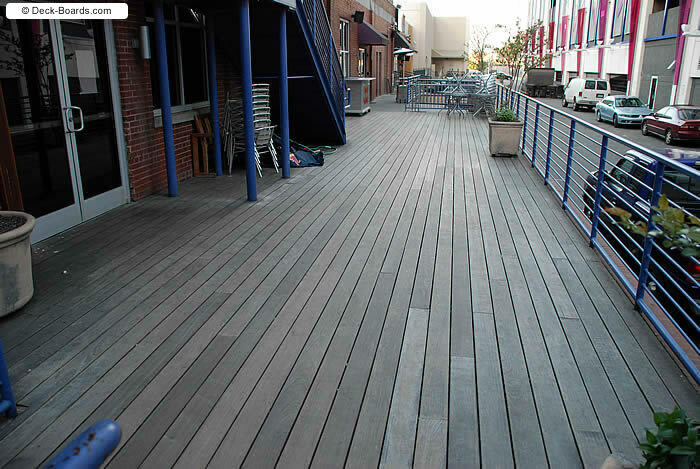 Ipe Decking is a beautiful dark brown when installed. 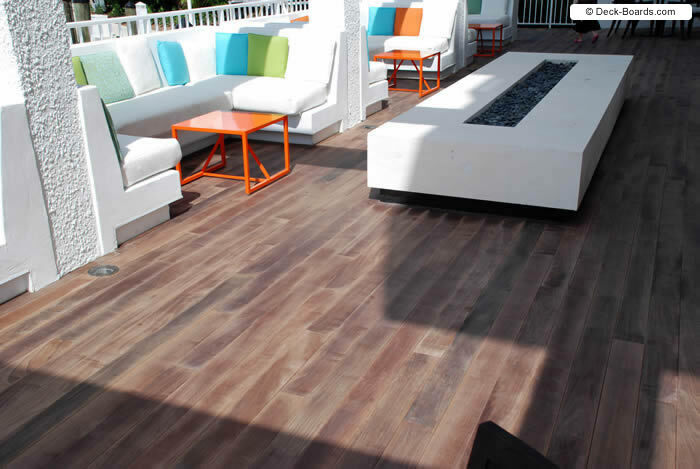 It has the look of a hardwood floor, but outside! In Boston's climate, it weathers in a few years to have a delicate silvery patina on top of the darker wood below. 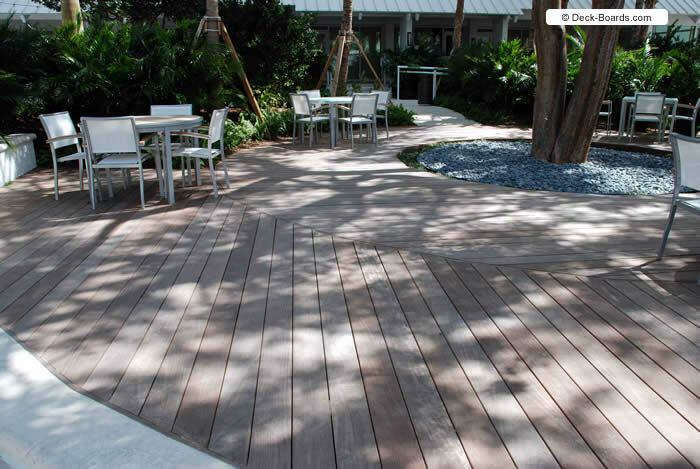 Some people enjoy this natural look, while some people prefer to finish the Ipe Decking material with a UV blocking material. This keeps the Ipe wood looking like it did the day you installed it, with the deep warm color. You can even bring back the original color of the Ipe Wood by applying a UV Protectant if you change your mind about the weathered look after the fact. 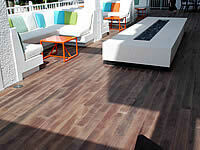 See the photos below for some examples of weathered Ipe wood. 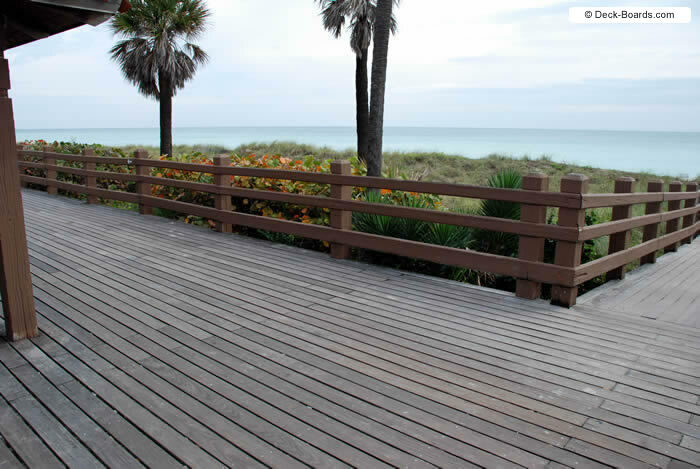 As you can see, Ipe Decking stands up to damage, climate, and wear far better than any other decking material in the world. It even beats out the "mold growing" composite lumber brands. 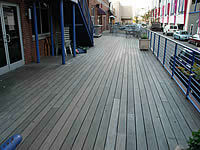 The decks below are great examples of how ipe holds up in high-traffic areas. You'll notice there's not a single missing, warped, or replaced board. There are no gouges or stains and no fungus. 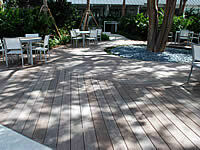 What more could you ask of a decking material? 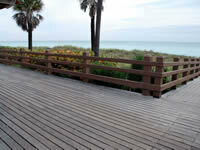 The pictures here are from ipe decks all over the country, in some of the harshest climates you'll find. Clearly, ipe will be able to withstand the weather in Boston.